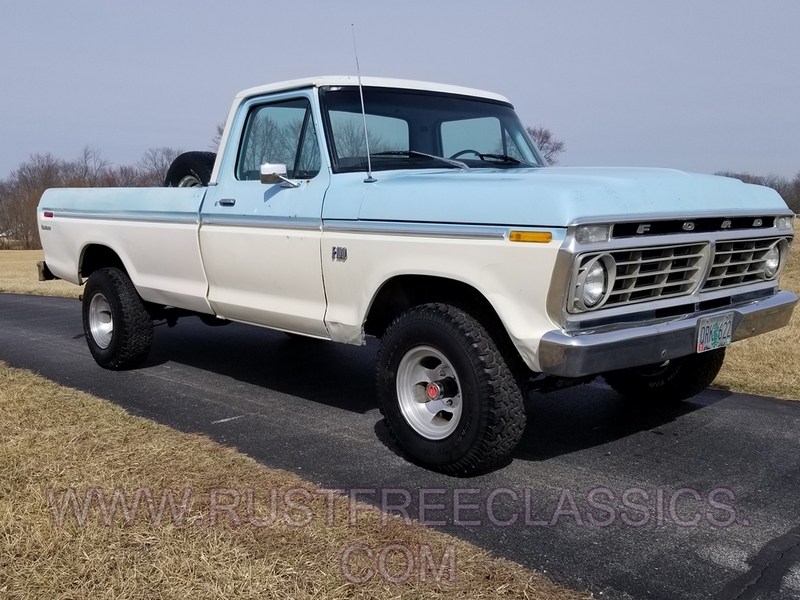 1973 Ford F100 1/2 ton long bed 4x4. 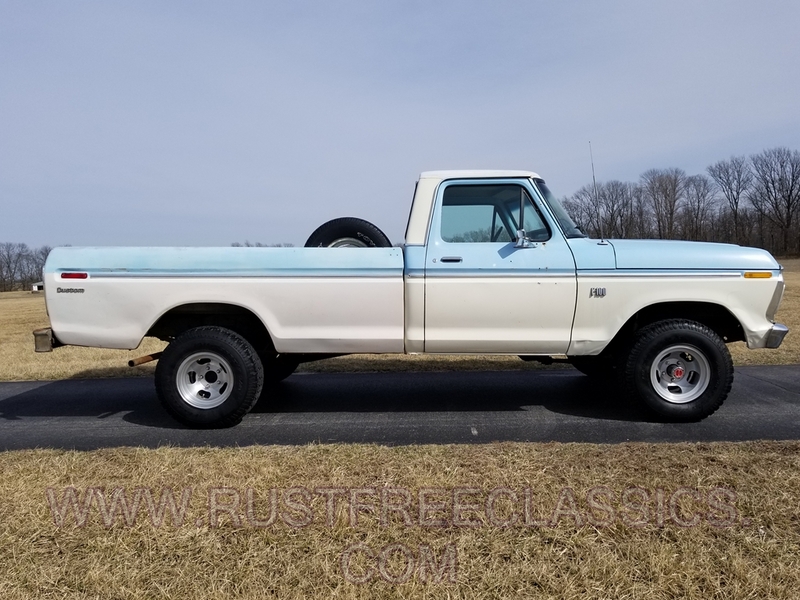 This is a clean 100% rustfree western survivor, with only has 120k miles on it. This 4x4 has a strong smooth 360 with a recent valve job, nice shifting 4 speed, smooth clutch, power steering and power brakes. It also has factory A/C. 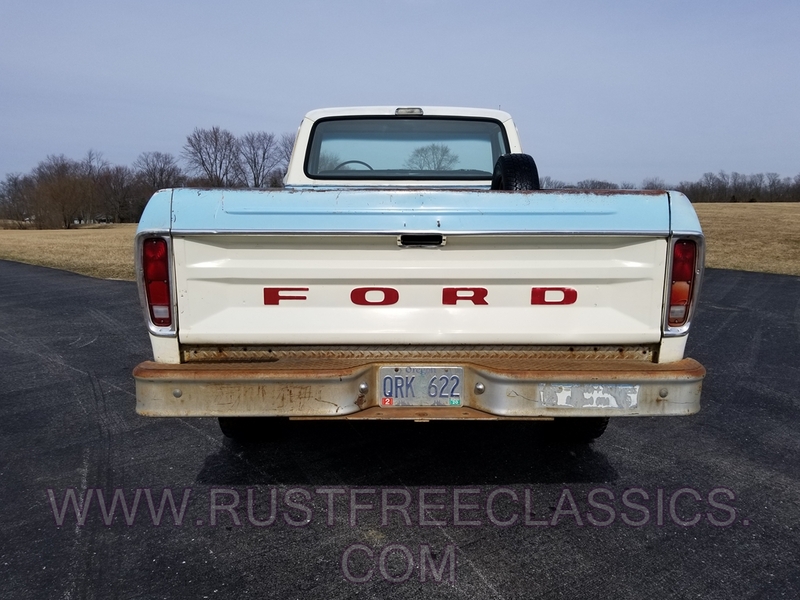 Factory AC was still pretty rare on a pickup in 1973. The spare tire mount is also factory inside the bed. 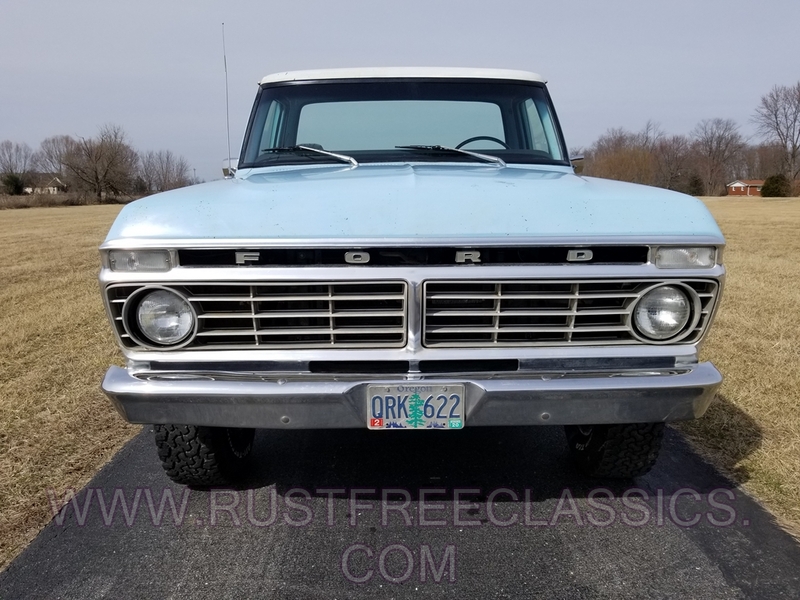 The body has some dents, dings, and some extra holes in the doors for other mirrors, but overall is pretty straight for being almost 50 years old. It even still features most of it's original light blue and white paint. Even the inside of the bed is pretty straight. It has surface rust from use, but isn't all beat to death. The interior is very clean, and has a nice sounding stock location AM/FM stereo. The exhaust, brakes, and suspension are all sound. The tires are nice 31x10.5x15 BFG's on cool old school aluminum slots. 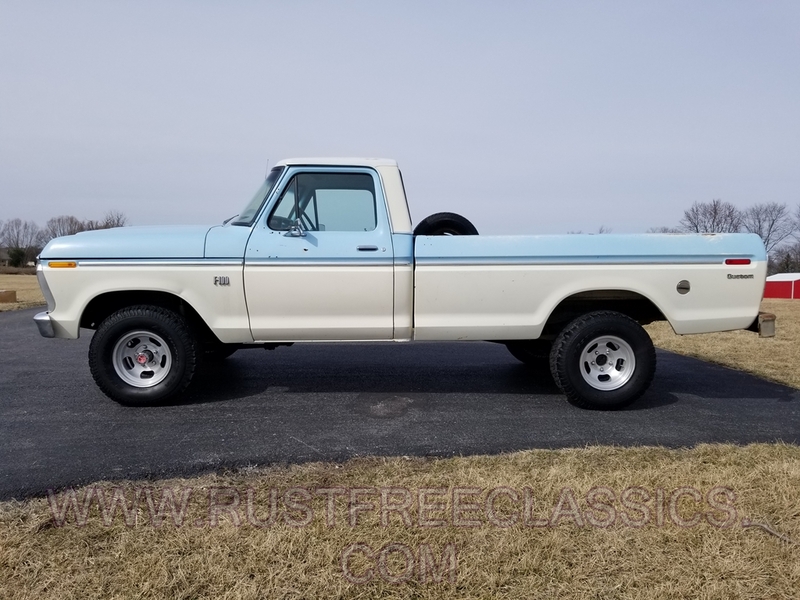 Overall, this is neat, no excuses well optioned F100 4x4 that is still very original, and is a pleasure to drive.